Here is a picture of Voodoo Priest Joseph Fritzner Coma who was elected to become the new Ati Nationale. 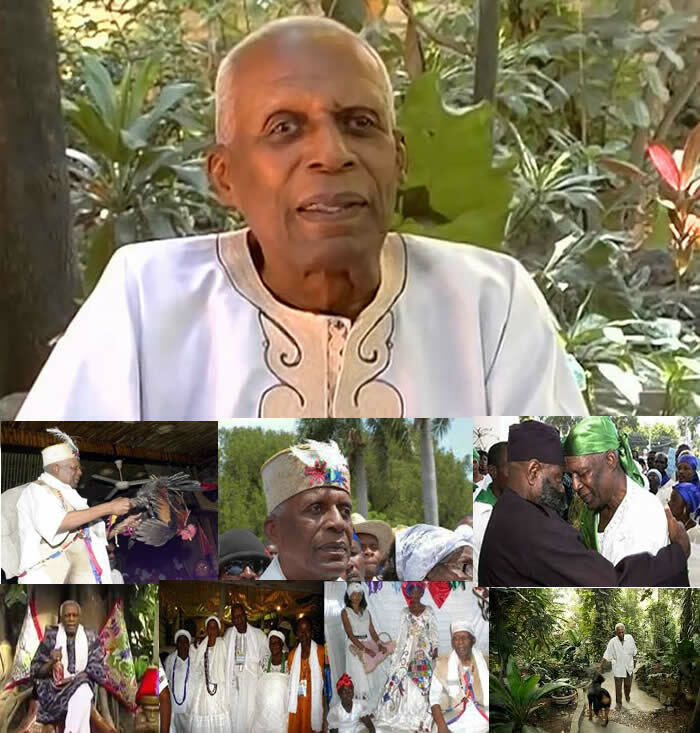 On Saturday, February 27, 2016, the National Confederation of Haitian voodoo (KNVA) elected the hougan Fritzner Coma Joseph Augustin as the new Ati Nationale. 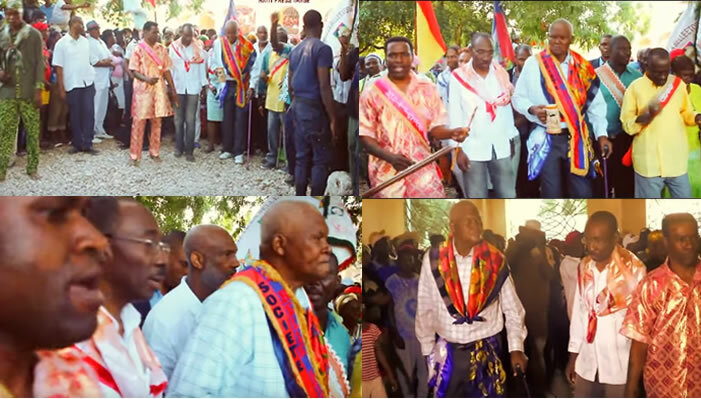 Following the deaths of the first ATI Max Beauvoir on September 12, 2015 and his successor, Alcémat Zamor on 30 December 2015, the voodoo sector in Haiti was divided between two groups, Augustin Saint-Cloud and camp mambo Euvonie Georges Auguste-- both of them were aiming the throne. Joseph Fritzner Coma secured the highest office of voodoo by defeating two other contenders-- singer Carole Demesmin and Saint-Cloud. Saint-Cloud had held the coveted position during the interim period since the death of Zamor in a car accident. Joseph Coma won the poll by securing 23 out of 40 votes. During his speech, Mr. Coma has promised to bring some freshness to the voodoo practice and culture. He has also mentioned that during his 37 years of practicing voodoo, he had never harbored the dream of becoming an ATI. He will do his best to organize the institution of voodoo, to protect and defend all Haitians. Vodou prèt Alcenat Zamor te eli Jedi pase pou li vin nouvo ati Nasyonal an Ayiti. Li ranplase Max Beauvoir ki te mouri dènyèman. Alcenat se yon Ougan de 60 ane ki soti nan vil Gros Morne. Li te eli unaniment pa manm Konfederasyon Nasyonal Vaudouisants ayisyen (KNVA). Alcenat Zamor te prezante nan piblik la kòm nouvo chèf nan vodou pa Ati, Manbo Euvonie Georges, ki te ape kenbe pou yon ti tan. The Voodoo Sector has made its choice by selecting Carline Viergelin to replace Néhémie Joseph. Within a week of the resignation of Joseph Néhémy from the Provisional Election Commission (CEP) on October 2nd, Carline Viergelin has been appointed as her replacement representing the Voodoo and the peasant community on the nine-member council of CEP. 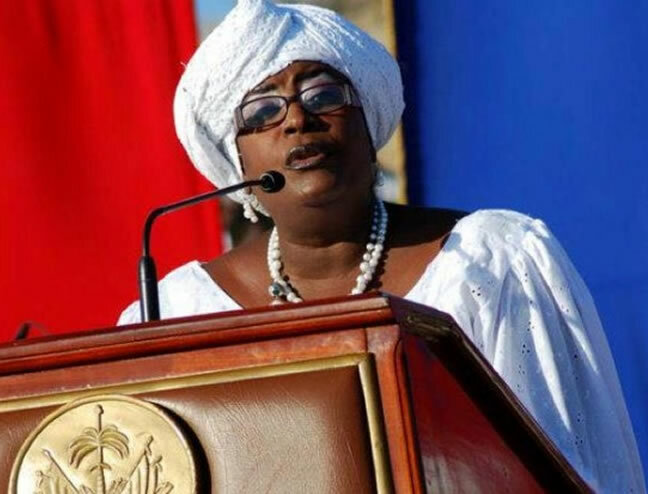 The correctness about the news of her appointment published on Le Nouvelliste has been confirmed by the Secretary General of the National Palace because, as per the Secretary General's statement, a Presidential Decree has already names Carline Viergelin as electoral adviser-- just a matter of swearing will bring back the CEP to 9 members. 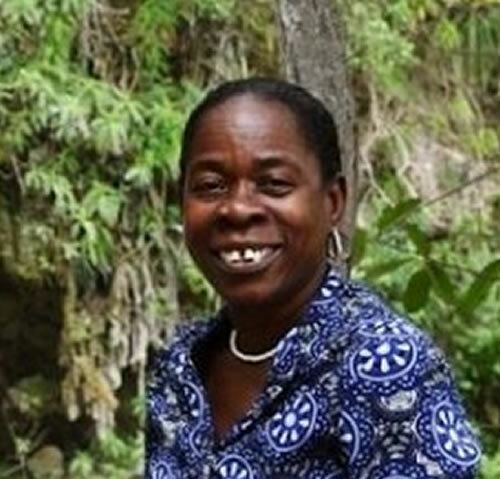 However, none of the leaders of the Haitian Voodoo sects, such as Charles Suffrard (organization Tet Kole Peyizan), Euvonie Georges Auguste (Haitian National Vodouisante Confederation or KNVA) or Augustine St. Clou representing 18 voodoo organizations in the country, are aware of her selection. This shows how the voodoo sector in the country is plagued by divisions. Euvonie Georges Auguste, the interim Secretary General of the National Confederation of Haitian Vaudouisante has said the Haitian voodoo sector will not send any representative to the Provisional Electoral Council (CEP) to replace Nehemie Joseph because the CEP does not have the required credibility to hold a fair election. 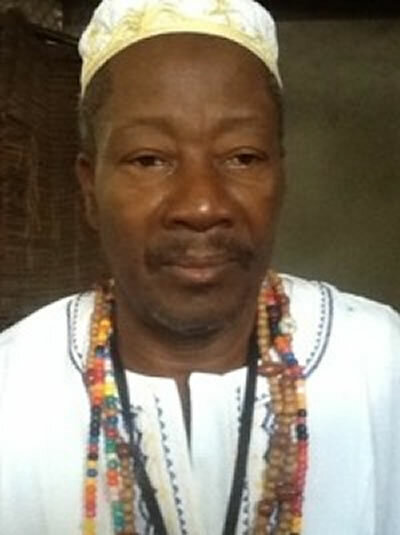 After the death of Max Beauvoir, the Supreme Chief of Haitian voodoo on September 12, 2015, 18 voodoo organizations in the country selected Augustin Saint Clou as the acting Supreme Chief. 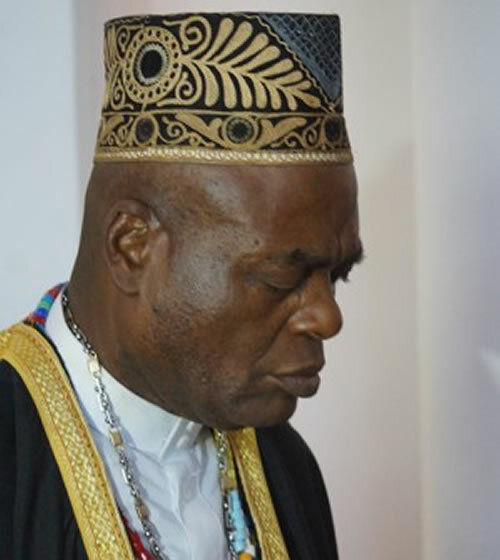 But, that decision was challenged by Mambo Euvonie Georges of the Haitian National Vodouisante Confederation (KNVA) and KNVA announced the appointment of Euvonie as the acting Supreme Chief of Haitian voodoo, replacing Augustin Saint Clou. However, another Voodoo organization (National Commission for the Restructuring of Voodoo or CONAVO) has sent their choice for a replacement for Nehemie Joseph to Martelly. 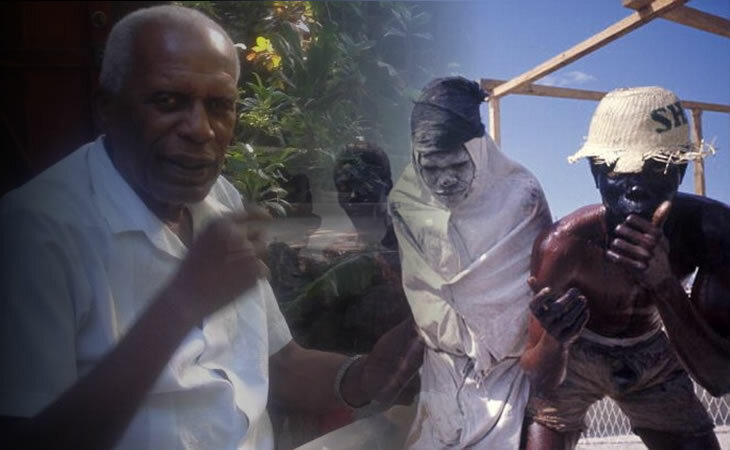 Here is a picture of the Voodoo leader in Haiti, Max Beauvoir. Max Gesner Beauvoir (August 25, 1936 - September 12, 2015) was a male priest (Houngan) and the supreme leader (Ati) in Haitian Voodoo. Until his last day, he has fought for the recognition and acceptance of voodoo. He was the head of 6,000 Haitian witch doctors and was said to have "bewitched" former president Bill Clinton when they had a chance meeting in 1975. Beauvoir used to believe that voodoo is the soul of the Haitian people, a way of life. The soul is what we are. It controls everything, all our actions, mind, our moral codes; and nothing can be done without that cultural basis. In 1974, he founded Le Péristyle de Mariani, a voodoo temple at his coral stone-walled home outside the capital city where everyone was welcome. Max Beauvoir died on September 12, 2015. On September 16, 'national tribute' was arranged in his honor at the Champ de Mars. Did Max Beauvoir reveal the secrets of zombie powder? Max Beauvoir has been credited for educating the public about the religion of voodoo. One of his accomplishment was to address the issue of Zonbification in the Voodoo religion. The majority of Haitians believe in the magical power of Voodoo. Western scientists have problem understanding the power of apparent resurrection of a human after death. Max Gesner Beauvoir, the supreme leader (Ati) in Haitian Voodoo had worked to educate people about the misunderstood voodoo faith. He was the head of 6,000 Haitian witch doctors and was said to have "bewitched" former president Bill Clinton when they had a chance meeting in 1975. His horror fans remember him sharing the secrets of Zombie Powder with Harvard professor Wade Davis, the author of the best-selling novel on "Serpent and the Rainbow", a book on Haitian Voodoo and the process of making zombies. Beauvoir, introduced Davis to a shaman named Marcel Pierre who was died 18 years ago; Pierre returned to life and gave up recipe to a zombie powder which had the power to bring the dead back to life. The book reignited a lot of discussion about zombies and it made real waves in the Euro-American society. Do you believe in resurrection and Zonbification of people in the voodoo religion? Here is a picture of Prime Minister Evans Paul paying a visit to Gran Lakou Souvnans in Gonaives on April 5, 2015. Lakou Souvenance is one of the three grand Lakou's of Gonaives which are known for keeping specific African Voodoo traditions. 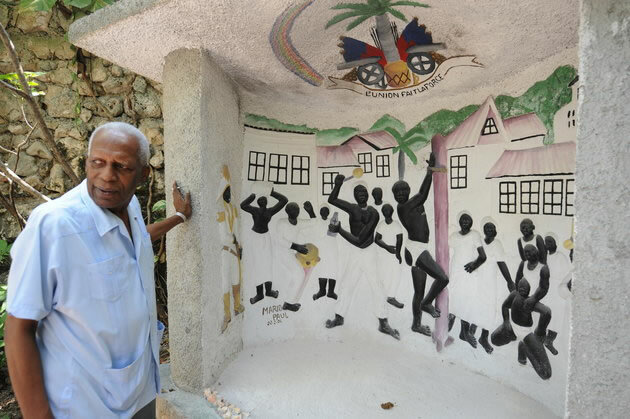 In a quiet and tranquil location, the other two lakous of Gonaives are Lakou Soukri and Lakou Badjo-- all were founded prior to Haiti's independence in 1804. While walking around the courtyard of Souvenance under its giant trees reaching for the sky, you will return to your childhood days and have a feeling of walking in a wonderland. It is a mystical Haitian site where voodooists meet. It is a place where a cycle of ceremonies unfolds around some sacred trees. The trees, the domain of various Lwas, are respected, decorated and honored. Here, the annual festivities usually take place around the Lent season before Easter. Lakou Souvenance, Soukri and Badjo are referenced as sites of pilgrimage for several Haitian presidents in the late nineteenth-century. Prime Minister Evans Paul paid a visit to Gran Lakou Souvnans in Gonaives on April 5, 2015. Haitians who adhere to Voodoo do not consider death to be the end of life-- there is an afterlife. When one dies, the soul essence hovers near the corpse for seven to nine days. During this period, the individual free soul can be captured and made into a "spiritual zombie" by a sorcerer. Thus, to avoid this capture, the voodoo priests perform a nine night ritual so that the soul may live in the dark waters for a year and a day. After that, the deceased's relatives perform the Rite of Reclamation to raise the deceased person's soul essence and put it in a clay jar known as a govi. When Max Gesner Beauvoir, the supreme leader of Haitian voodoo died on September 12, his body was kept until everyone paid a visit and made it home for the funeral. Prime Minister Paul Evans met with the daughter and step-son of the deceased, the couple Rachel and Didier Dominique. A 'national tribute was arranged on September 16, at the Champ de Mars. 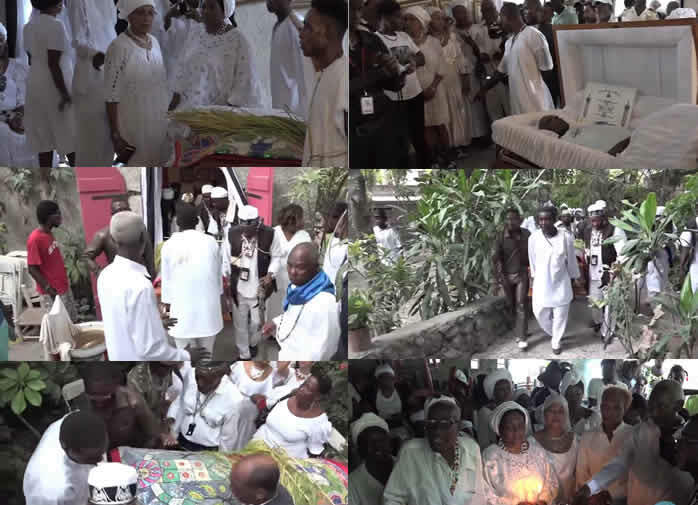 In a somber environment, the Government of the Republic of Haiti extended its sincere condolences to the relatives and friends of the deceased and to the members of the voodoo community. President Michel Martelly has described his death as a "great loss for the country". Here is a view in the life of the National Ati Max Gesner Beauvoir who died at the age of 79. Haitian Voodoo's Supreme Chief, Max Beauvoir, recently passed away in Port-au-Prince. He was 79. Beauvoir had another vocation, besides being a houngan, as a biochemist. After studying and working in the U.S. he returned to Haiti, rose to the highest rank in Voodoo, and advocated for the religion Voodoo legitimately is. Beauvoir's official title, Naitonal Ati, was created to give creditability to Voodoo against the slanderous attacks of Protestant and Evangelical leaders. Here is a picture you don't see often. 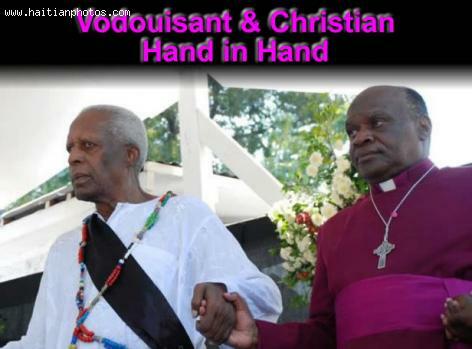 Leaders of two major religions in Haiti joining hands. This is not just two religions. Leaders of a Christian faith in a rare photo opportunity with Max Beauvoir, Supreme Leader of the Haitian Voodoo.